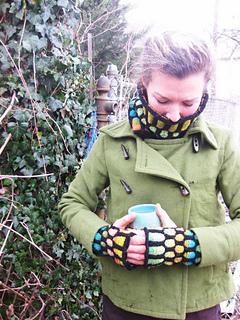 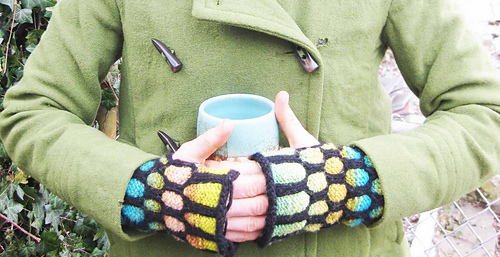 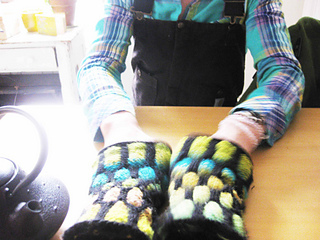 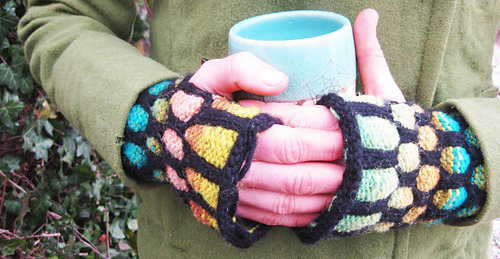 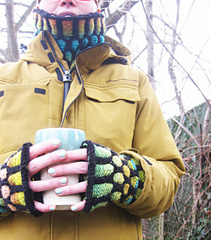 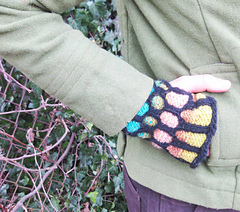 Bright, warm wristers (fingerless gloves) are perfect for so many seasons and occasions. 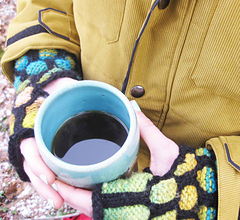 I love stained glass. 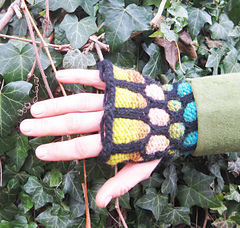 I love the way the light shines through the dark outlines. 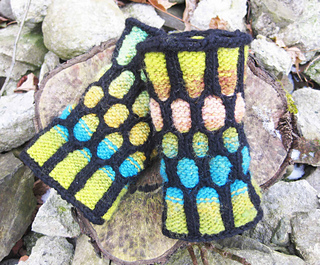 I wanted to knit stained glass and I think these wristers do a pretty good job!